1. Become a designer yourself! -contribute to the game by creating new weapons, creatures and more! 2. New worlds are never the same; each holds unique combinations of environments and resources to discover. 3. 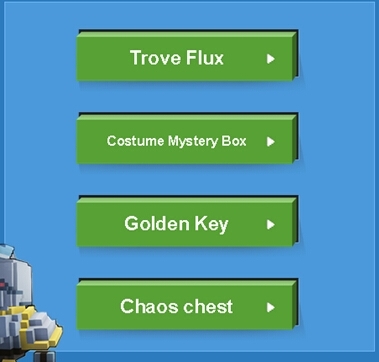 Worlds vanish or renew as quest objectives are completed – every click of the play button offers a new journey in Trove! 4. Procedurally generated dungeons are full of surprises and rewards. 5. Your creations can appear in your worlds…and others! What do we have on sale? We mainly provide Flux, chaos chest, goldenkeys, costume mystery box and other items you may need ingame. Note: All the trade will be through the Trading Postface to face. Please contact our livechat in time when you are able to beonline. 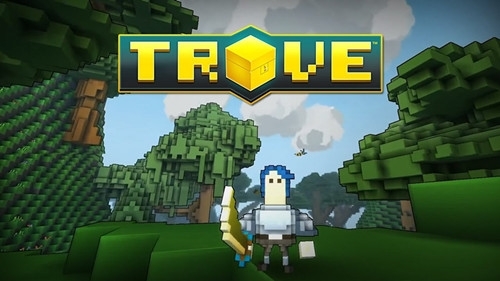 Currently you can check http://www.g4mmo.com/trove for more.